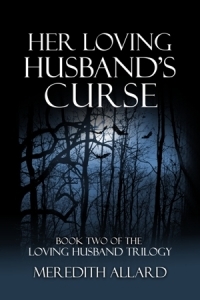 Book Two of The Loving Husband Trilogy, Her Loving Husband’s Curse, is on track for a Spring 2012 release. Look for it in online retailers like Amazon, BN, Smashwords, and iTunes May 2012. For information on Book One in the series, Her Dear & Loving Husband, check here.